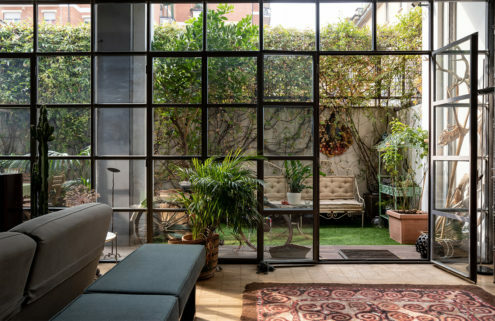 Lofty volumes await inside this glass-capped Parisian apartment, which takes over a former wallpaper factory in the city’s 10th arrondissement. 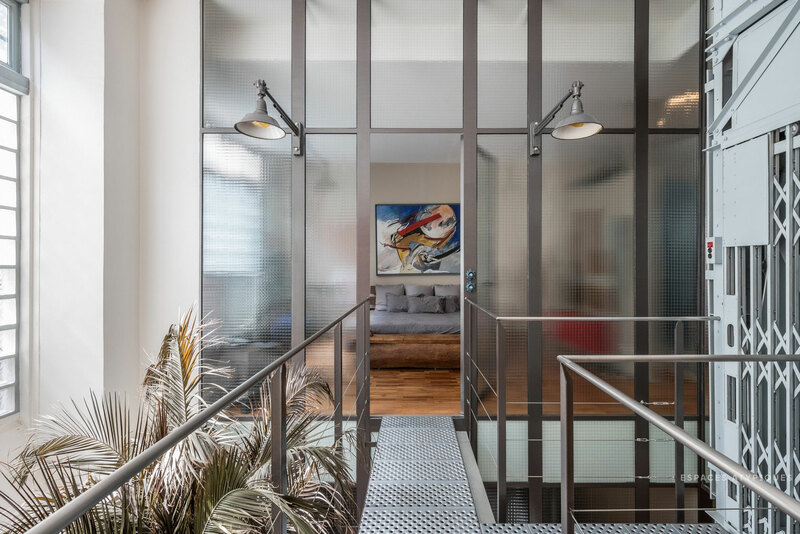 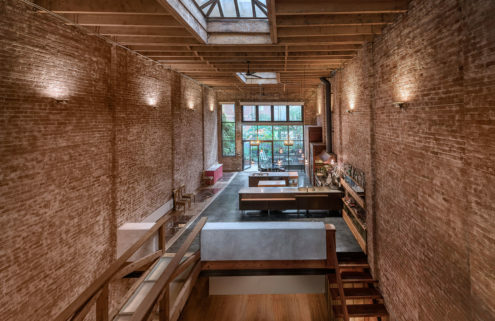 Though modernised, the building’s industrial features have been preserved giving a rugged feel to the three-bedroom property, which is close to the Marché Saint-Martin. 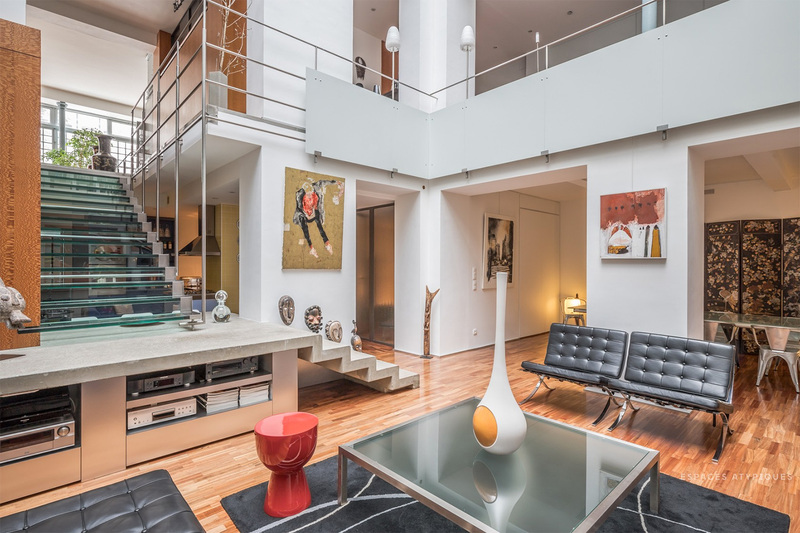 Its most dramatic space is the living room, capped by a 7.3-metre-high glass ceiling. 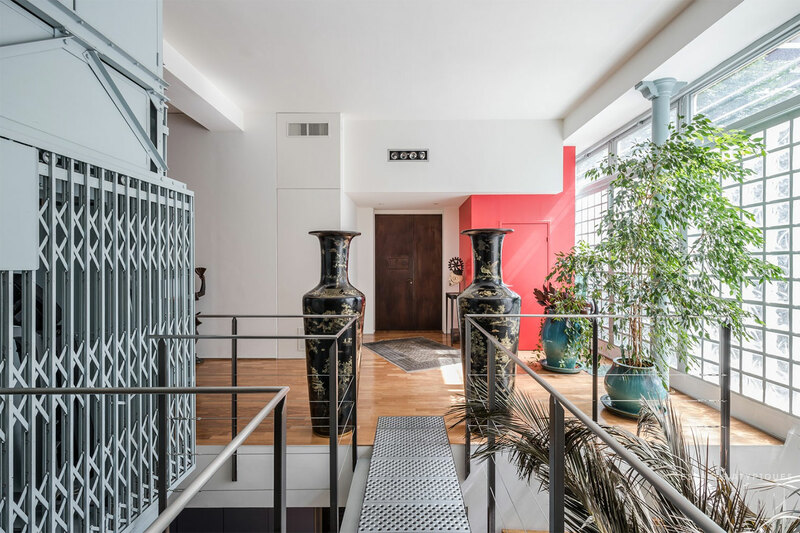 It is the central hub of the Paris property – on the market for €2.8m via Espaces Atypiques – and is outfitted with minimalist white walls and warm wooden floors. 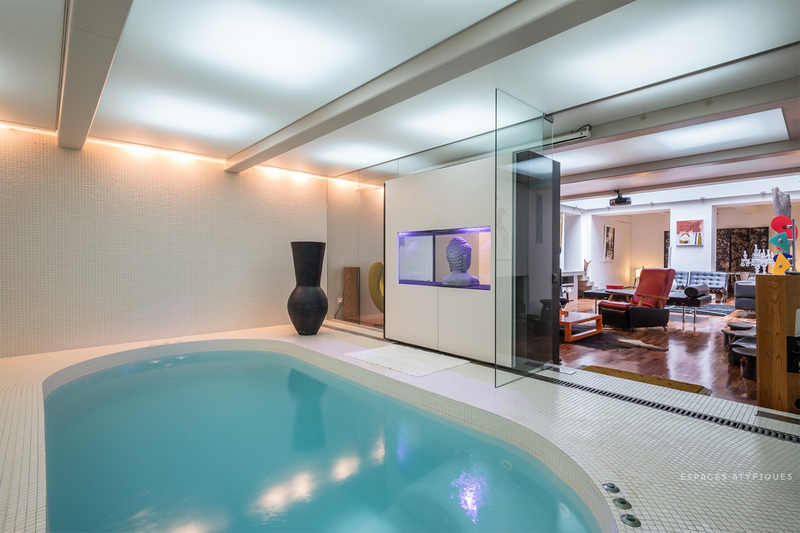 A gym, bedroom and indoor swimming pool branch off this voluminous space. 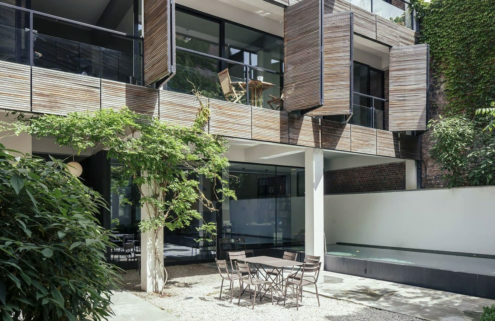 The kitchen is tucked behind a concrete, glass and steel staircase, which leads to the 40 sqm master bedroom, and a mezzanine level studio or seating space that overlooks the living room below. 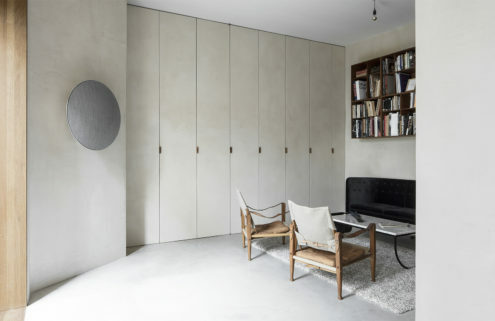 Upstairs in the warehouse conversion, frosted glass doors provide privacy while staying true to the 323 sq m apartment’s working roots as a manufacturing plant.